Launch yourself into 2017 with this fun and relaxing embroidery course. The tutor will help you develop your creativity (even if you're not creative!) as well as teaching decorative hand stitching techniques. Only 1 place left - Book Now! All with the support and guidance of Tara, who is a very friendly and experienced tutor. This course is suitable for Complete Beginners as well as Improvers and Intermediate students. If you are a complete beginner, you will learn some basic embroidery stitches and embroidery techniques. You'll start exploring how to design and create a simple embroidery project of your own to work on, or you can choose to work on a project designed for beginners by your tutor. By the end of the course you'll have a collection of samples and a small embroidered panel. 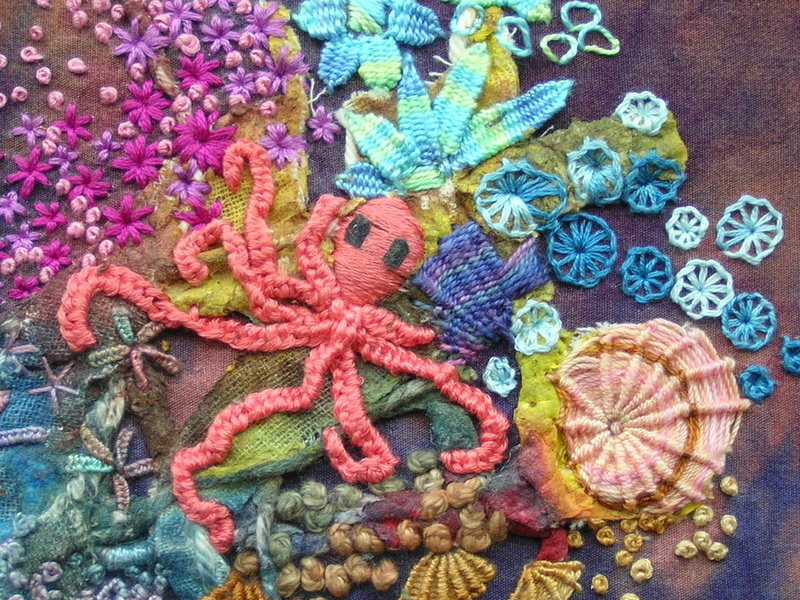 During the course you'll start experimenting with and exploring hand stitching techniques to find new ways of using them and new effects that can be created with old stitches. 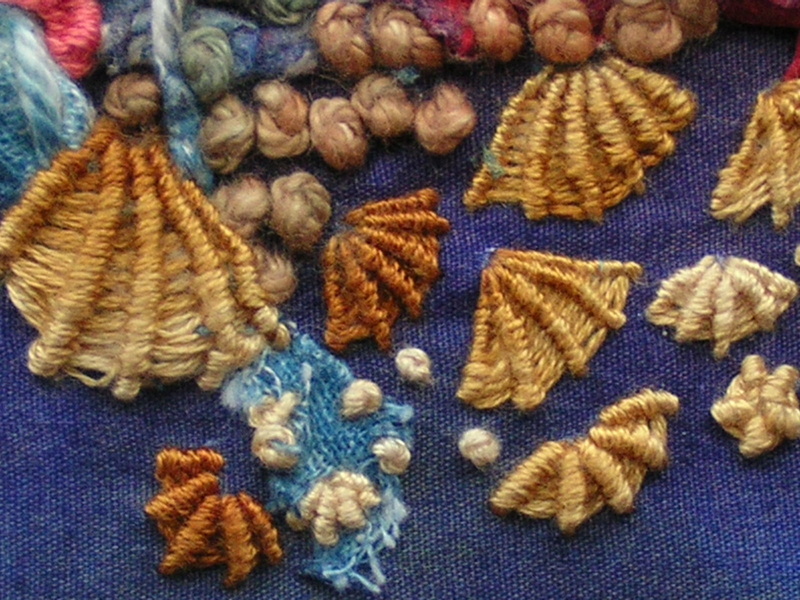 We'll explore how to use texture to add an additional element to your embroidery projects. We'll also be looking at how to use a sketchbook to develop designs, using a variety of fun and accessible exercises (don't worry, you don't have to be able to draw!). By the end of the course you'll have a collection of samples and a small panel or project of your choice.